A retired Chicago police commander is accused of stealing hundreds of thousands of dollars in Social Security benefits in a scheme that allegedly lasted more than two decades. 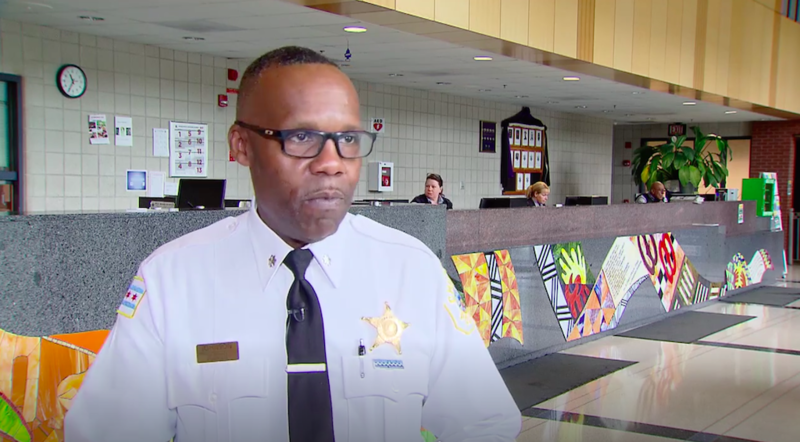 Kenneth Johnson retired earlier this year after spending more than three decades with the Chicago Police Department. But federal prosecutors believe the former commander stole $360,000 in Social Security funds over the course of 23 years. A formal complaint has not yet been filed, but the Chicago Tribune reports the money Johnson allegedly stole was intended for his mother. Prosecutors allege this scheme began in June 1994 and lasted until November 2017. Johnson spent 32 years with the CPD and worked as a commander in the 7th District before retiring this past August. He was lauded for his efforts to reduce crime and violence in the Englewood neighborhood. The department says it wasn’t aware of Johnson’s alleged offenses and had no open internal affairs investigations into the issue. CPD Superintendent Eddie Johnson said he only learned of the charges Wednesday afternoon, adding that he was “shocked and very disappointed” by the news. Court records indicate Kenneth Johnson will be arraigned in federal court Nov. 27.